Flex Films || New Launches - The Perfect Solution for Flexible Packaging Converters! FlexFilms is the global film manufacturing arm of India’s largest multinational flexible packaging solutions company, Uflex Limited. With State-of-the-Art film manufacturing facilities in all the 4 major continents Asia, Europe, North America and Africa our cumulative production capacity stands in excess of 337,000 MT Per Annum !!! F-HPF is a new type of nylon replacement film made with a newly developed proprietary technology. This film offers good thermoforming performance, high puncture resistance and flexural fatigue strength suitable for many applications formerly only able to be filled with bi-axially oriented nylon (BON) film. 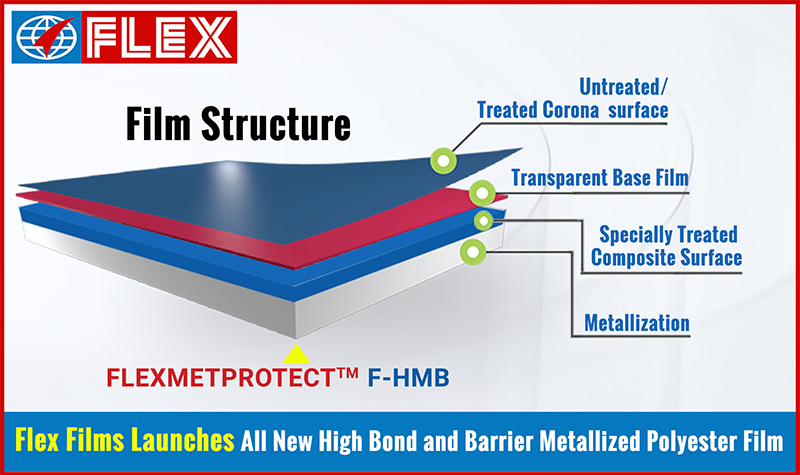 F-HBP (High Barrier Product) is a new type of gas barrier film. This film offers high moisture and oxygen barrier for many applications including foil replacement. High barrier comes from specially formulated BOPET film with High Optical Density.This film is 100% web inspected, for any metal defect, using our state of the art vision system. 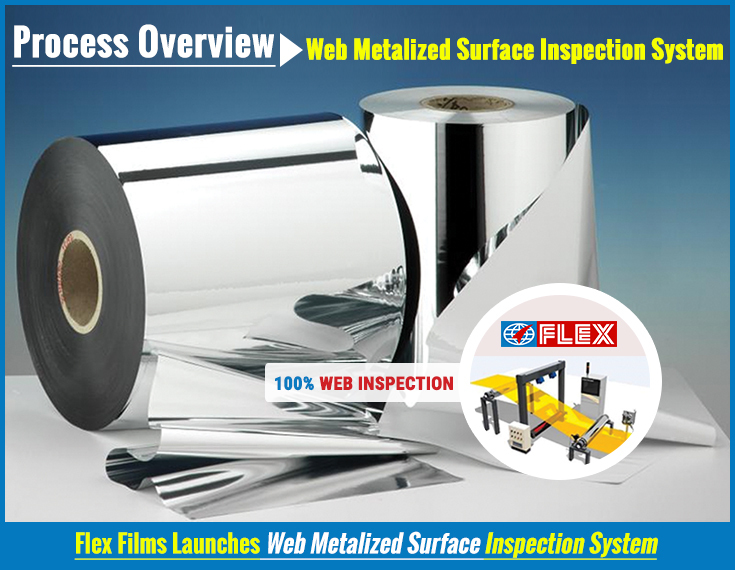 The Web Metalized Surface Inspection System is an optical surface inspection and defect classification system for FLEXMETPROTECTTM. It comprises smart line scan cameras measuring and analyzing the size and shape of any and every defect real time. The Web Metalized Surface Inspection System checks the entire web and allows for rapid and accurate detection of defects. 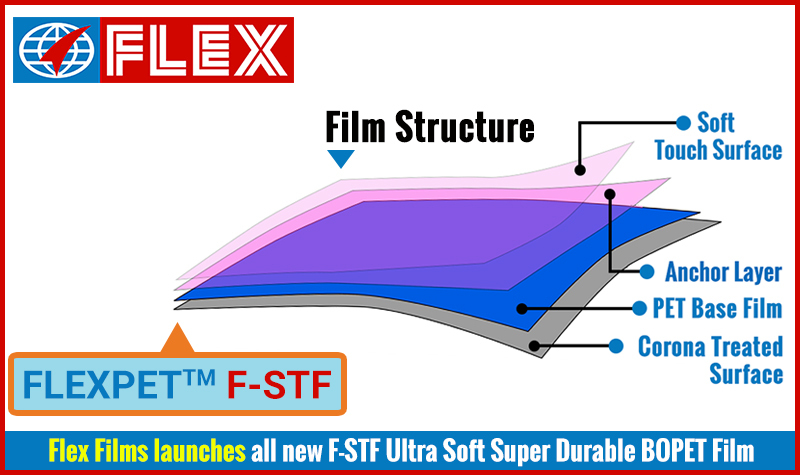 F-STF film has an engineered-micro surface texture giving a unique and luxurious feel. Suitable as a outer web in many packaging laminations, F-STF film gives brand owners a new capability in the production of consumer centric packaging. The backside of F-STF is easily printable with traditional converter inks or new digital print technologies.